Inhambane is a striking city, rich in history and surrounded by coconut palms and superb beaches. As the country’s top destination, this amazing beach destination offers holidays of all types to suit every budget! With incredible, healthy coral reefs close to every beach, it is no wonder that the scuba diving and snorkelling experience in Inhambane is among the best you’ll find in the world. The area also boasts fantastic weather, marvellous seafood and smiling, welcoming local people. Inhambane is definitely Mozambique’s premier tourist destination and is situated some 470 kilometres northeast of Maputo. Glorious beaches, great weather all year round, the best seafood in the world and hospitable Mozambicans will ensure your holiday is an unforgettable experience! Among the famous locations in Inhambane are Praia do Tofo, Ponto do Barra, Guinjata Bay and many more. Surfers gather for the waves, divers for the underwater wonderland – then all make new friends when the sun sets, in the beach pubs and restaurants! Take a virtual tour of the accommodation in Inhambane here. Scuba diving in Inhambane is world class – divers come to see and swim with the famous Giant Manta Rays and Whale Sharks while snorkelling is also a rewarding activity in this clear blue sea brimming with special marine species. Inhambane was established in 1560 by the Portuguese, making it one of the oldest settlements in Mozambique. This small coastal town is served by an airport a port and good roads, and features petrol stations, banks, public phones, shops, markets, a bus terminus and a museum. Side-walk cafes are dotted along the narrow streets and along the beach. Stop for traditional food and a cocktail. Cultural sightseeing includes the 200 year-old Cathedral of Our Lady of Conception, the Governor’s Palace, the Municipal buildings, and the museum. Enjoy a drink at the harbour while watching the dhows cruise across the bay. Or stroll through the central market, “Mercado Central”, where traders sell everything from cashew nuts, spices, prawns, fish and vegetables. You need to find the ideal travel package to Inhambane that suits your needs and budget and we at MozambiqueTravel.com have amazing special deals for you at our fingertips. Make your enquiry today. Experience the best range of accommodation in Inhambane. Choose from a number of excellent options to best suit your budget and holiday requirements for the ultimate Mozambican travel experience. 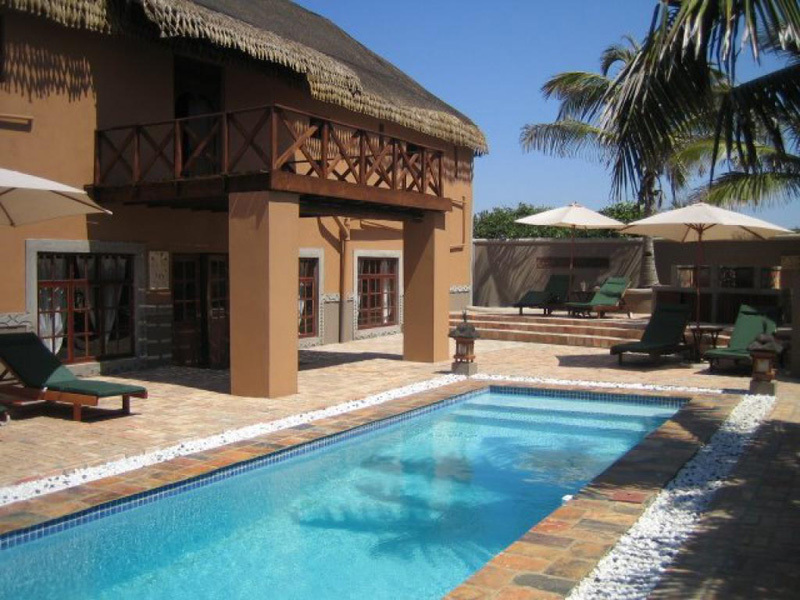 Inhambane accommodation is varied and includes resorts, family suites, hotels and guesthouses. Inhambane is one of Mozambique’s premier tour destinations. Established by the Portuguese in 1560, Inhambane is one of the oldest settlements Mozambique has to offer. It is situated about 470 kilometres from Maputo in the south of Mozambique, lying on the Inhambane Bay. Sites worth paying a visit to include Praia dos Cocos, Tofo, Guinjata Bay and Barra. Portuguese is the official language of Inhambane so head on down to Mozambique’s premier tourist destination! Relaxing beaches, the freshest seafood around, and amazing weather makes Inhambane a must-stop destination for your Mozambique holiday. If you like exploring, then Inhambane will definitely tickle your fancy. Inhambane is the hub of Mozambique tourism. From Johannesburg, Inhambane falls into many of the bush and beach safari packages. There is also a diverse choice of diving opportunities on offer in Inhambane. Browse our fantastic range of Inhambane tours to discover the variety of attractions, sights, landscapes and highlights that this coastal town has to offer. Experience the best of Mozambique on the adventure of a lifetime! Inhambane is definitely Mozambique’s premier tourist destination, lying some 470 kilometres north-east of Maputo. Glorious beaches, great weather all year-round, the best seafood in the world and friendly locals will make your holiday an unforgettable experience! Among the famous locations in Inhambane are Praia do Tofo, Ponto do Barra, Guinjata Bay and many more. Our consultants can help you to choose the Inhambane holiday so click here for assistance.